Learn How to Deliver Inspiring Presentations on May 7th | Register Today! Every leader needs to be able to stand up and deliver a clear and inspiring message. Julie Shifman from Adopt A Class will lead this session where you can expect to learn how to craft a presentation that moves individuals, teams, and organizations. 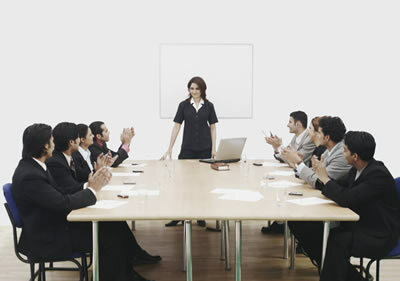 Better presenters understand why a well written and well-rehearsed presentation will have greater impact. Through this session you will strengthen your delivery skills that communicate confidence. "Julie's presentation workshop was so helpful, practical and provided specific tools, a chart and practice with the group. I have used this technique to prepare for a talk to a United Way Tocqueville group, as well as many other presentations and it truly has prepared me to tell our story. We started using her tools with our Leadership staff and have expanded it to other staff as well." Julie Shifman joined Adopt A Class in 2015. Julie brings to Adopt A Class extensive career experience as a lawyer, a non-profit consultant and as a keynote speaker and author of the book, Act Three. 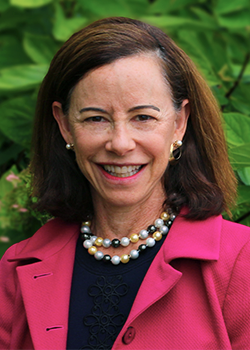 She is also well known for her community engagement, serving on the boards of United Way (as chair of major gifts), Talbert House (including a term as board chair), the Cincinnati Ballet (currently chair of the New Building Committee), the YWCA, the American Jewish Committee and the Hebrew Union College. Julie has lived in Cincinnati for over thirty years with her husband Steve, the CEO of Michelman, and her four sons. Julie earned her law degree at the University of Colorado and a Masters in tax law at NYU.